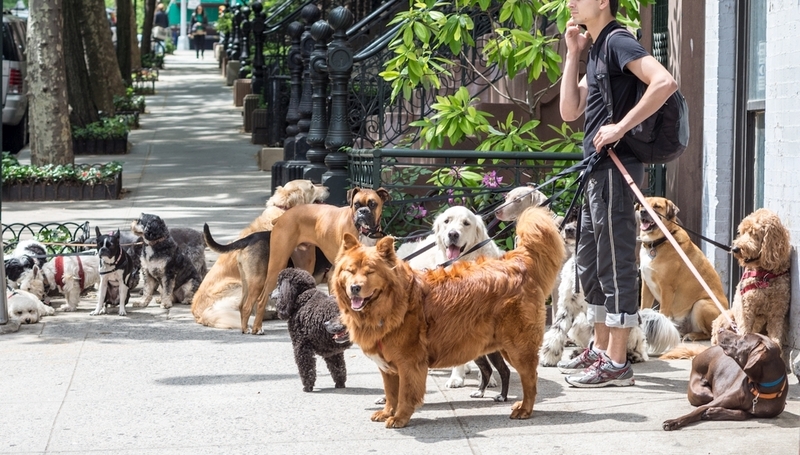 Tucson Daily Photo ~: Dogs can teach us a lot! Dogs can teach us a lot! OK, not a strictly Tucson photo today but I couldn't resist posting this one. In fact it is a photo from my adopted "home town" of NYC. 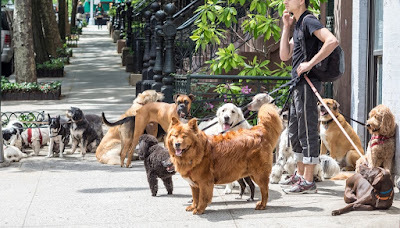 A friend of mine sent me this wonderful street scene of 18 dogs of all sizes, shapes, and breeds. They are just having a nice break during their walk. Looks like their wrangler has paused for a phone call. No barking, no jumping, no fussing.... telling us that yes, we can all get along! (: Woof! Photo courtesy of Gene Brown. Lucky day - double rainbow! Tucson featured in the New York Times! Suggest a caption for this one! Does the word "swanky" come to mind? The site celebrates a birthday! No, this is NOT a sushi roll!